The following is Part VI (the conclusion) of a talk I gave on April 2nd at the St. Emmelia Orthodox Homeschooling Conference at the Antiochian Village. The full talk is entitled “The Transfiguration of Place: An Orthodox Christian Vision of Localism.” Read Part I, Part II, Part III, Part IV and Part V. There are six parts in all. I live in a place called Emmaus, a small borough of about 11,000 people nestled onto the southwest edge of the Lehigh Valley, next to Allentown. If you spend any time around me at all, you will know that I love Emmaus. It’s a beautiful place to be during all the seasons of the year. The people in our borough love it, and they love it with a curious passion that I’ve never seen anywhere else. When Emmaus was founded in 1759 by a group of Moravian Christians, it was founded deliberately as a Christian community. 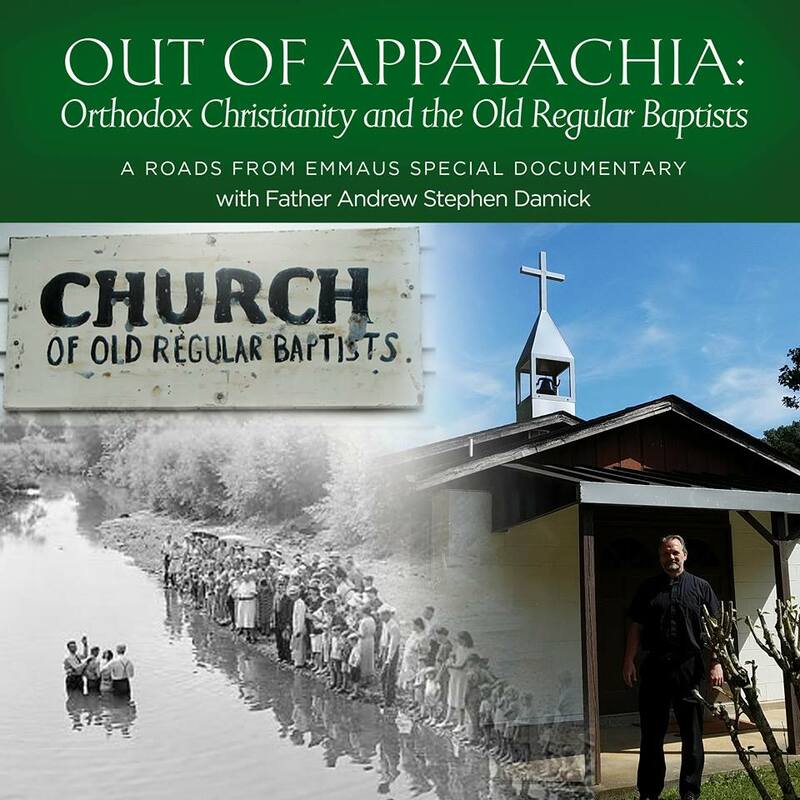 And when Bishop Spangenberg named it for the little village in ancient Palestine called Emmaus, it may be that some of what happened at that Palestinian Emmaus made its way permanently into the dirt of the Pennsylvanian Emmaus. In the twenty-fourth chapter of the Gospel of Luke, the resurrected Christ joins with two of His disciples—not of the Twelve, but Luke and Cleopas. And He walks with them on the road to the village of Emmaus, but they do not recognize Him. But then they come to the house of Cleopas in that village, and there they go in with Him and eat supper together. And then it was as Christ broke bread and blessed it that they suddenly realized Who He was. It was in that place, in that Eucharistic moment, that divine revelation came to them. And the Church later appointed that same place to be the site for many centuries of the church of Emmaus, which for a time even had its own bishop. Since the exile of Adam and Eve from the Garden of Paradise, mankind has had a broken relationship with his place. Globalization has accelerated that brokenness and introduced whole new levels of alienation between us and each other, between us and our places, and as a result, between us and our God. Our collective exile is becoming ever further and further from the homeland of our souls. The Church understands that exile and the need for the healing of not only ourselves as individual human persons or even just as communities of persons, but as communities in places. We therefore hear again and again our liturgical services prayer not just for specific people or even just for groups of people, but also specifically for places. We pray for “this church.” We pray for “this city” and for “every city and countryside.” Monks and nuns pray for “this sacred monastery.” All these references are to places, not only to the people who happen to live in them. We are meant to be in harmony with our place, to pray for our place, to sanctify our place by our prayer. We might be tempted sometimes to think of the Lord’s words that His kingdom is “not of this world” and to interpret them to mean that He doesn’t care much for our place, that His only real concern is for our souls. We even sometimes think of the Church itself in this way, when people say that the church is not a building but is rather the people. All of this is true in its way, but if we take these things to mean a denigration of place, then instead of privileging the human soul and the very human character of the Church, we are instead engaging in a de-humanization. When our Lord became material, when He became matter, then He opened up the possibility for the restoration of all matter back to the “very good” character in which He originally created it. This world was meant to be a blessing to us, to serve as the vessel of God’s holiness for us. And our responsibility to it is as its priests. In considering the vocation of a priesthood, it has always been a canonical stipulation of the Church that a priest is ordained for and canonically attached to only one altar. There are no priests “at large,” nor bishops or deacons. All are connected to a specific place. When you love a place and care for a place, then that place reflects who you are. And if you are an Orthodox Christian who is seriously trying to live the life of Christ, then your place will reflect Christ. We know from the beginnings of Russian Christian history that the emissaries of St. Vladimir were so stunned by what they saw in that place, in Hagia Sophia in Constantinople, that they were convinced that God dwelt among people. In that place, they experienced its transfiguration—the material of this world came to be a conduit through which the divine light shone. Place matters. It is not only essential to our humanity, but it is critical to our salvation. And being critical to our salvation, it is also critical to our evangelism. Consider within yourself where you are paying your attention. Is it primarily to far-off things and people that you will never meet nor touch directly? If so, then you are contributing to your own dis-incarnation. In this televised, computerized age, we are all guilty of it to one extent or another. The beauty of the Christian faith, however, is that change is really possible. With prayer, with sacrifice, with time, with attention, and above all, with grace, we can return our gaze back to the place we are. In doing that, every day can become a pilgrimage, and every stone, every stoplight and every street we encounter can become a vessel of divine grace. And thus each road—not just “every” road, but this road—can become the Road to Emmaus, a path to the Eucharist. There, what has been created by God is offered up to Him once again for His transformation and then His return to us as the very means of receiving His presence. May that be true for each of us a little bit more today. "This ancient and honorable name"
Orthodoxy and Heterodoxy available for purchase!